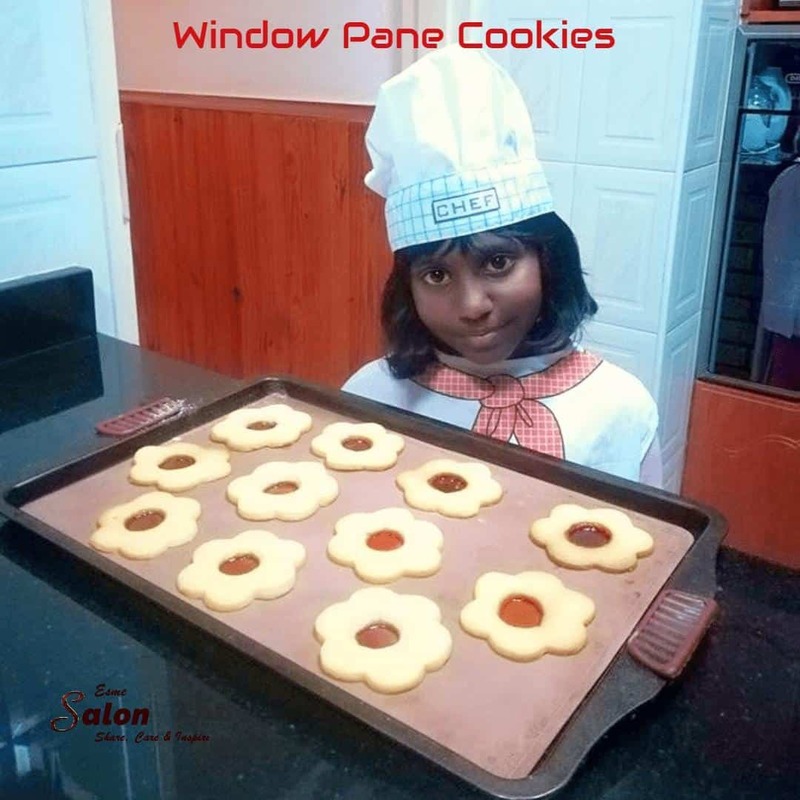 What a cute little chef and look at the lovely Window Pane Cookies she made! 3 different colored crushed glass sweets like sparkles. Add vanilla, flour, and cornflour, mix well until a soft dough is formed. Wrap in clingwrap and let it set in the fridge for 1 hour. Cut out center with a round coke bottle cap. Place on a silicone mat. Drop crushed sweets in a hole in the center of the cookie. Bake at 150C for 18-20 minutes. Let cookie cool thoroughly before removing from baking tray. Here we have a number of Young Chefs showing off what they can do. This looks like a great biscuit, Esme. I love the hole in the middle. Hi Lydia – pretty but also delicious. She is one of our next generation of baking and dinner options. Great job.